Using modular acrylic panels, CNS Displays has developed several designs that provide unique next generation retail shoe displays. The versatile shoe display panels come in various sizes and finishes that are installed easily with our proven wall stainless steel standoff system. They are adhered directly on to the wall or on a wooden panel of your desired finish which is then wall mounted with Z-brackets. Hanging shoe display systems and floor-standing displays also allow the retailers to uniquely customize and exhibit their products. 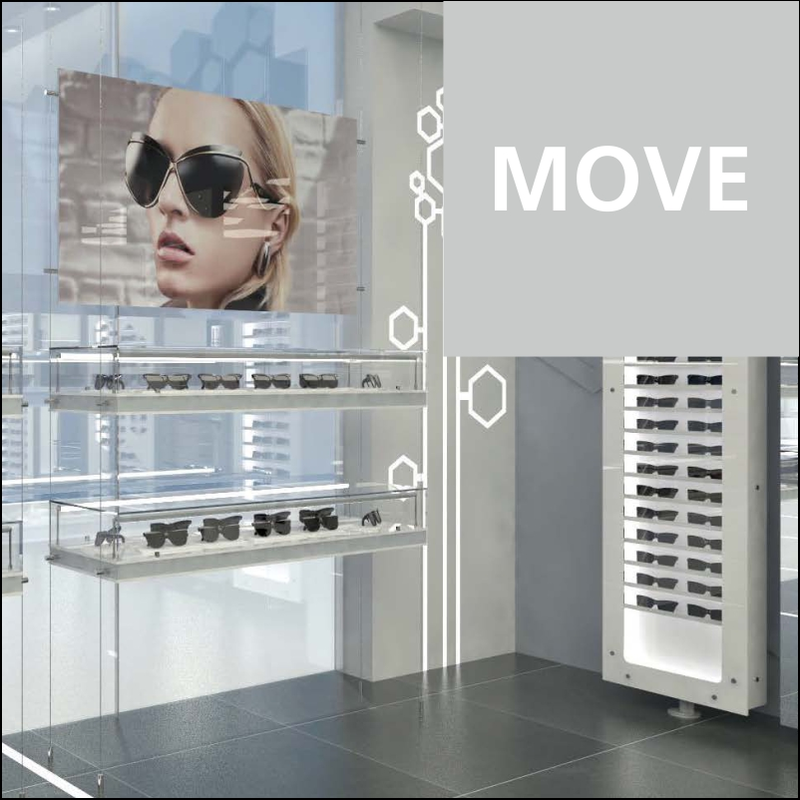 CNS Displays offers contemporary, innovative retail display systems to effectively, and attractively display designer eyewear and sunglasses. 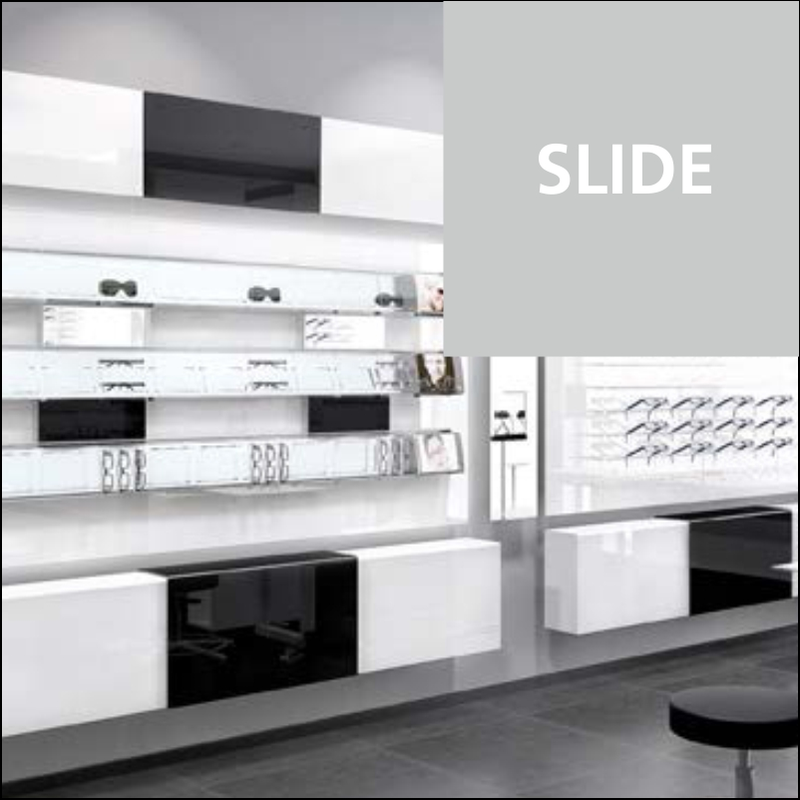 We provide a wide variety of unique, next-generation sunglass and eyewear displays for walls, countertops, windows, floor-standing frames, cases, and modular Blox systems. If you are looking for a customized sunglass and eyewear display, we can design and manufacture just about anything for you. The highly innovative and contemporary counter-top or wall-mount bag and purse displays by CNS Displays combine the latest in intelligent display hardware technology and an ultra modern design to make a truly convincing statement in your bag retail store. The bag display with plug-in modular P.O.S technology provides functional performance with an artistic presentation that brings the bag designs in to the forefront without any intrusive display design elements. 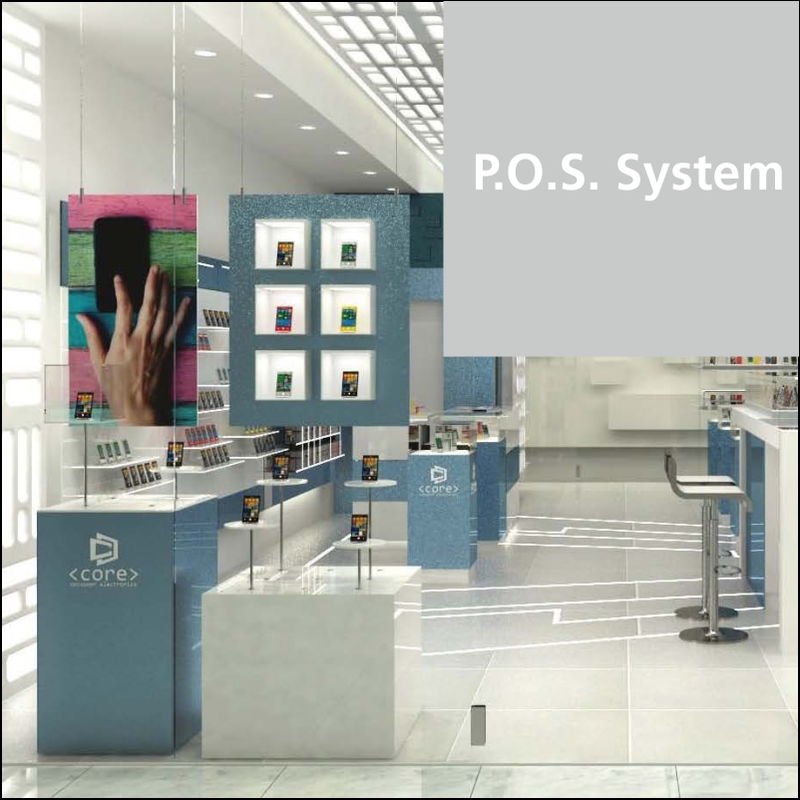 The Point-Of-Sale system offers numerous possibilities for arranging the shop window. The bolt is inserted into a horizontal acrylic glass or wooden plate, which can be fixed onto a separate framework or within the shop window. 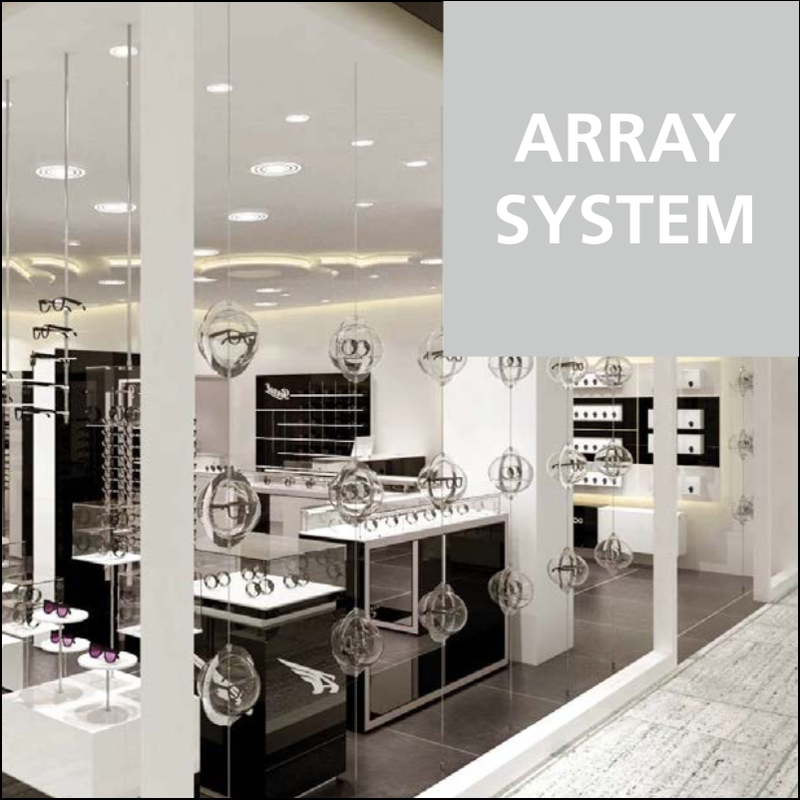 Using modular acrylic panels, CNS Displays has developed several designs that provide unique next generation retail jewelry displays. The versatile jewelry display panels come in various sizes and finishes that are installed easily with our proven wall stainless steel standoff system. They are adhered directly on to the wall or on a wooden panel of your desired finish which is then wall mounted with Z-brackets. Using modular acrylic panels, CNS Displays has developed several designs that provide unique next generation retail accessories displays. The versatile accessories display panels come in various sizes and finishes that are installed easily with our proven wall stainless steel standoff system. They are adhered directly on to the wall or on a wooden panel of your desired finish which is then wall mounted with Z-brackets. Hanging accessories display systems and floor-standing displays also allow the retailers to uniquely customize and exhibit their products. 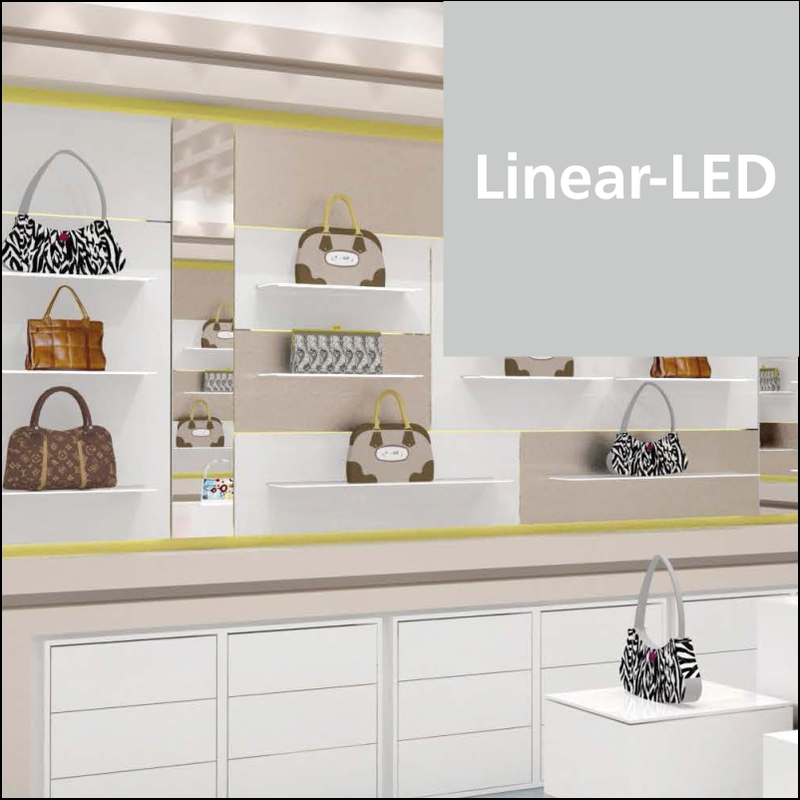 We, at CNS Displays, want our clients to be able to visualize their retail space. Our professional designers create a complete design plan and rendering based on the information you provide, taking into consideration customer flow management. CNS is transforming retail environments by creating and offering optimized and personalized shopping experiences. Design innovations from CNS and its worldwide partners make it possible for retailers of any size and financial strength to present their products on the most up-to-date platform available in the market. 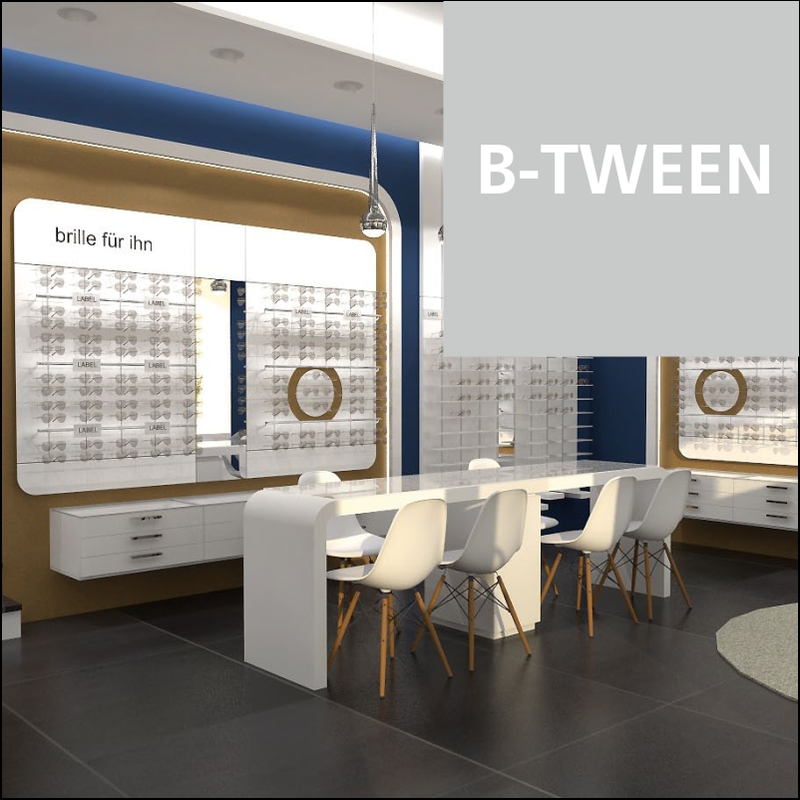 B-TWEEN is the new shop design system with integrated LED backlighting for new product presentation! A rail system can be plugged in above or below with assembly elements and is being screwed for fixing. Even interspaces can be utilized optionally: Other display elements can be easily inserted. Perfect for your precious high value products and accessories, merchandise is displayed and protected against theft and dust at the same time. The key advantage to this presentation unit is that after unlocking the display, only one product container is released at a time, leaving the others secured. We set your glasses presentation in motion! MOVE displays your products in a moving way. Shelves for glasses and other quality accessories move continuously on an oval track and thus creates a real eye-catcher either available as table or window option! CNS is a premier designer, manufacturer and distributor of modular retail displays and systems for the retail industry in North America. Our team of professionals and designers continuously create and develop new and innovative solutions for sophisticated and high-end retail environments. 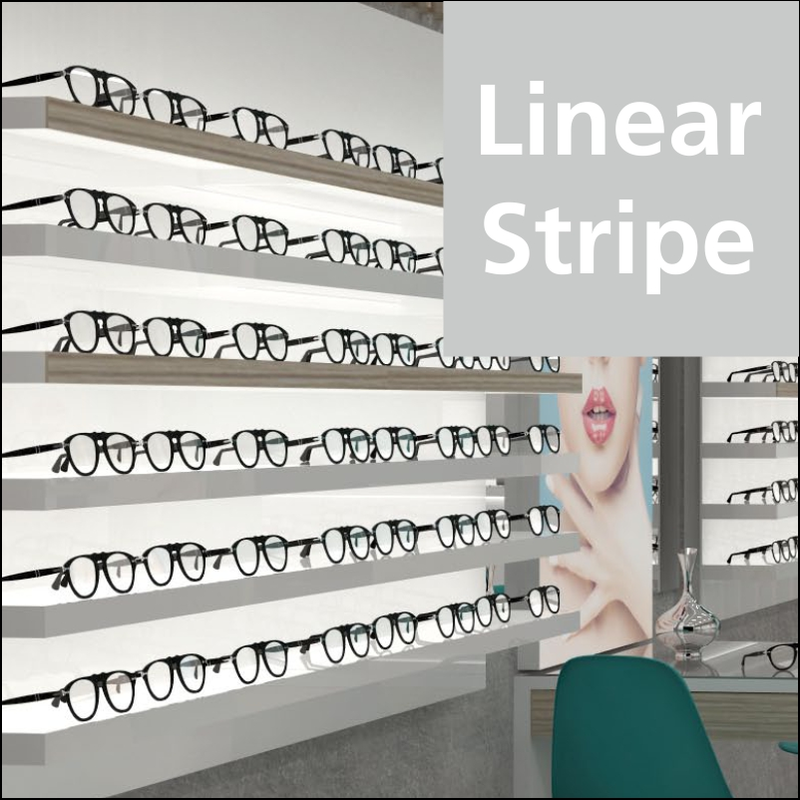 Originally as a manufacturer and distributor of retail displays for optical & sunglass stores and with more than 14,000 clients worldwide, CNS has a long and successful history in the retail's display market. For the past decade, CNS has been committed to create visually impact-full and functional retail displays including our versatile bag & shoe display systems, our slim and non-intrusive Concept-s modular retail display system as well as our sleek Array and Scope system. All of our systems are very stylish, highly affordable, extremely scalable and easy to roll out. Our innovative systems provide high levels of functionality, quality and aesthetics. In addition to our ability to design, manufacture and implement top quality retail display systems, we also have a proven track record in delivering and implementing large-scale roll-out programs for a large number of top retail chains. Our US-based manufacturing facilities coupled with a very capable and highly qualified product and space design team, and our intelligent process and technology provide us with unique hard-to-match capabilities not seen by any other provider in the market. Copyright © 2015 CNS Displays All Rights Reserved.